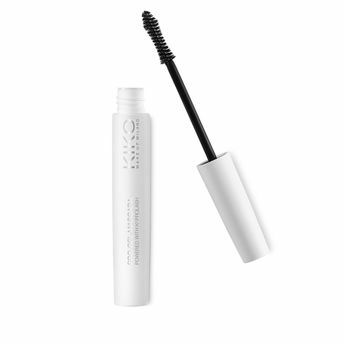 Thanks to its special filmogenic resin, the Kiko Milano Pro Gel Mascara accentuates your eyes naturally, shaping your lashes and making them flexible, long and extraordinarily lustrous. The light castor and sweet almond oil formula embraces your lashes and coats them one by one, without becoming sticky or drying out. The innovative K2prolash complex, a group of biotechnological active ingredients, acts on your lashes' structure, strengthening and regenerating them from the inside out. K2prolash complex combats the process of capillary aging and stimulates growth of your lashes. The special "hourglass-shaped" mascara brush aids application of the gel along the entire length of your lashes, giving them more definition. Apply the mascara along the entire surface of your lashes. Repeat on the base to enhance penetration of the active ingredients, working also on the lower lashes. Repeat the application a second time. Explore the entire range of Mascara available on Nykaa. Shop more Kiko Milano products here.You can browse through the complete world of Kiko Milano Mascara .